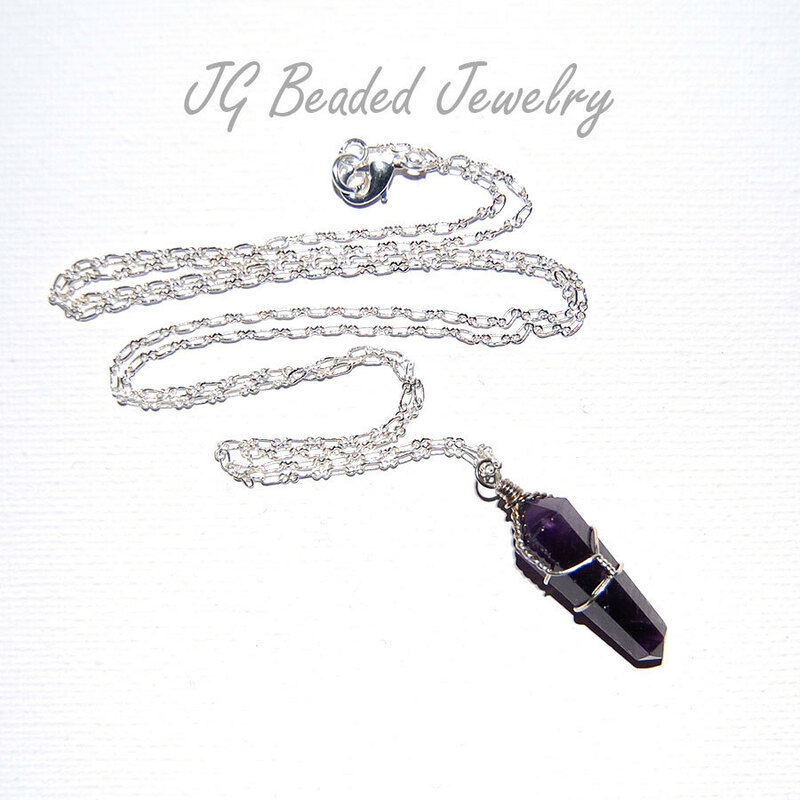 Amethyst crystal necklace is wire wrapped with a double terminated (points on top and bottom) natural amethyst crystal that hangs from a 24″ silver chain that is closed with a lobster clasp. 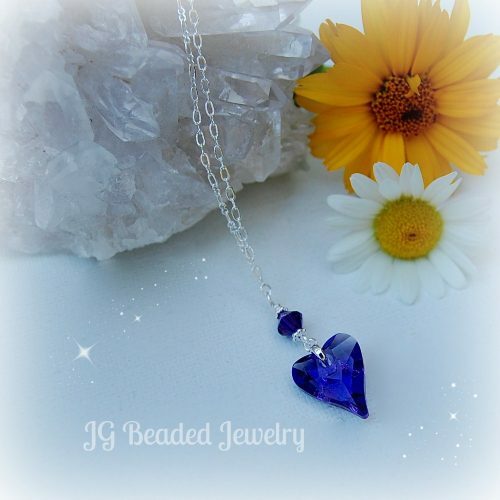 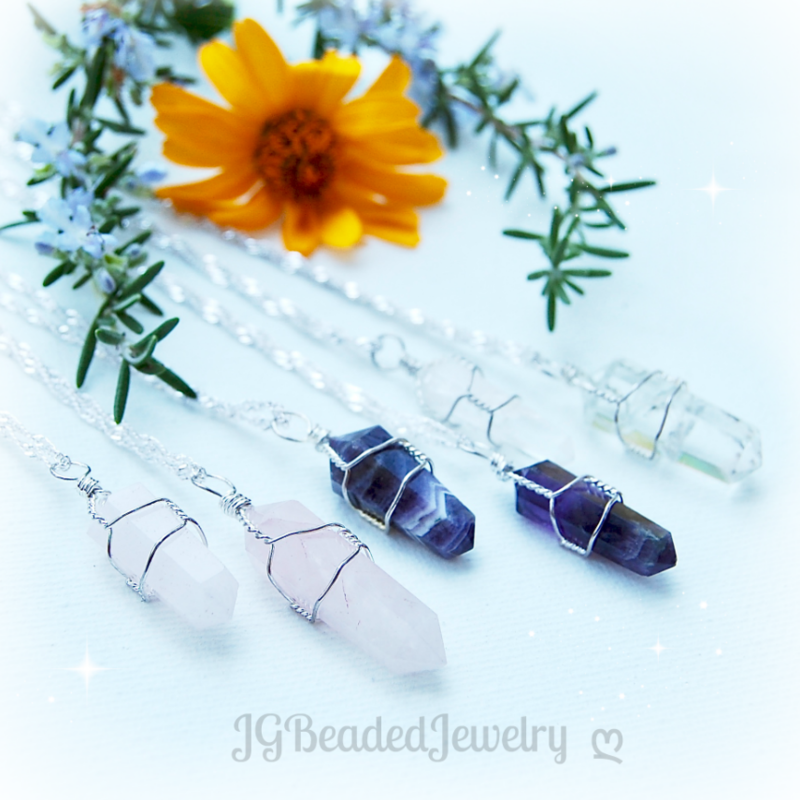 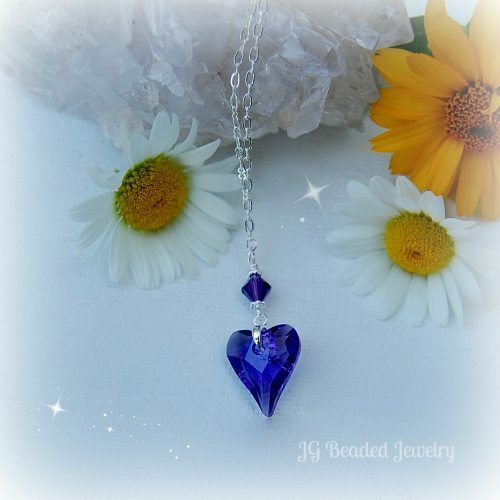 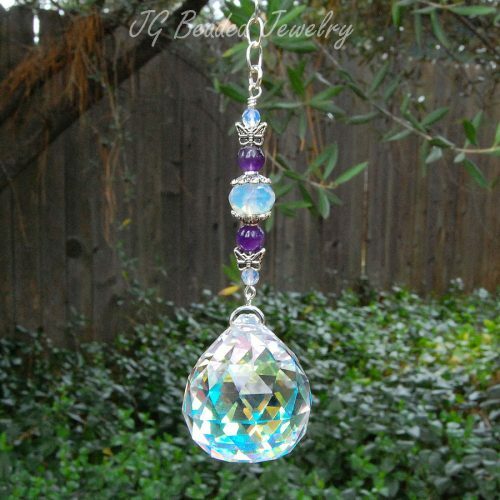 PLEASE NOTE: Each necklace is one of a kind and made with a natural crystal so they vary in size (long/short/thin/wide), color (light/dark/medium/multiple purples) and may have unique markings/inclusions which is created during the natural growth of the crystals making each individual pendant unique and beautiful! 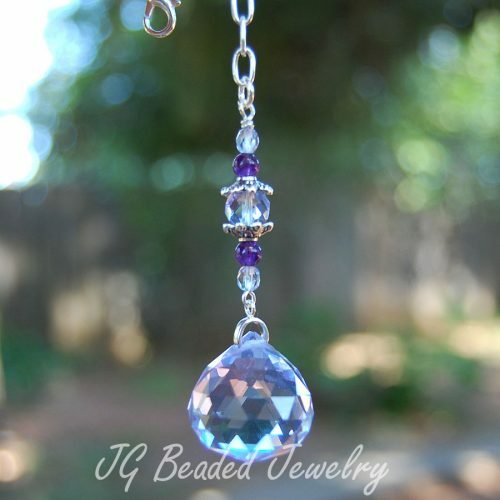 Amethyst bestows stability, strength and peace. 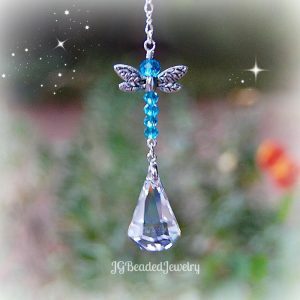 Click for more crystal necklaces.